Whenever I talk to someone about the Costa house, whether it's my husband, dad, girlfriends or our architect, the one term I keep using is that I want our house to be simple. It's no coincidence that "simple" is also the word that I use when I describe what our life is like down here and is ultimately why we decided to build a home. Back in the city we crave simplicity, it seems like our life is just so busy, between my husband's work, the kids schooling and activities, and all the life that happens in-between. Down here our days could not be more opposite. Carpools are replaced by long walks through the jungle. Meals on the go are instead leisurely dinners consumed with our toes in the sand and at night we play Go Fish as a family rather then disappearing into our own electronics. It's quiet, it's easy, and it's absolutely wonderful. It's funny because even though our home in Boston feels much more like a bohemian beach house than it does a city apartment, but to me it actually fits our lifestyle to a T. It's a little loud, it's a little busy, it's a little funky, and it's small... all the words I would use to describe our family. Our Costa house, on the other hand, it's going to be larger (guests!!!) it's going to be built with the surroundings in mind to try to bring them in (whereas in the city we are trying to keep them out) and yes, it's going to be simple. Quiet, serene, less will most definitely mean more. It's so funny, I think when you say that people can often read simple as sterile. I've been warned a number of times that if I go white on white on white on wood that we are going to end up living in a hospital. and I have to say I completely disagree with that assessment. 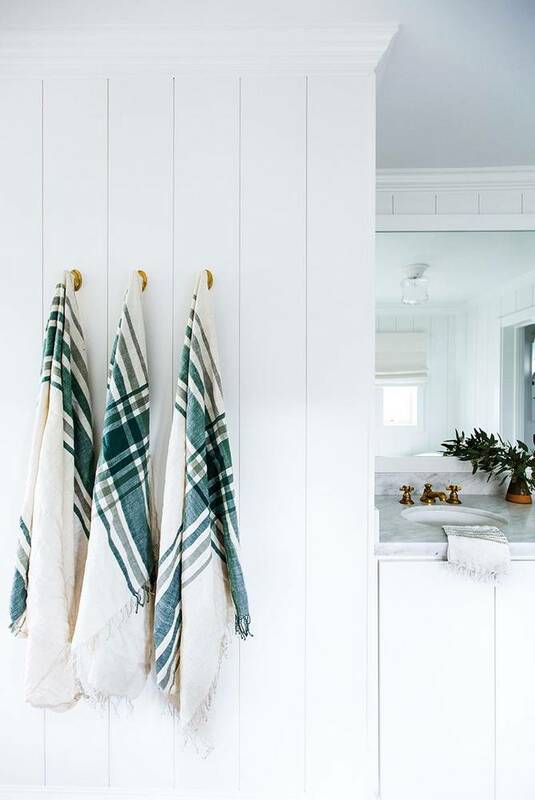 What has driven me to become a decorator is that I've been able to see over the years how much accessories can really define a space, and there is no better place to start then with a clean palate. This for me is true, simple interior beauty. 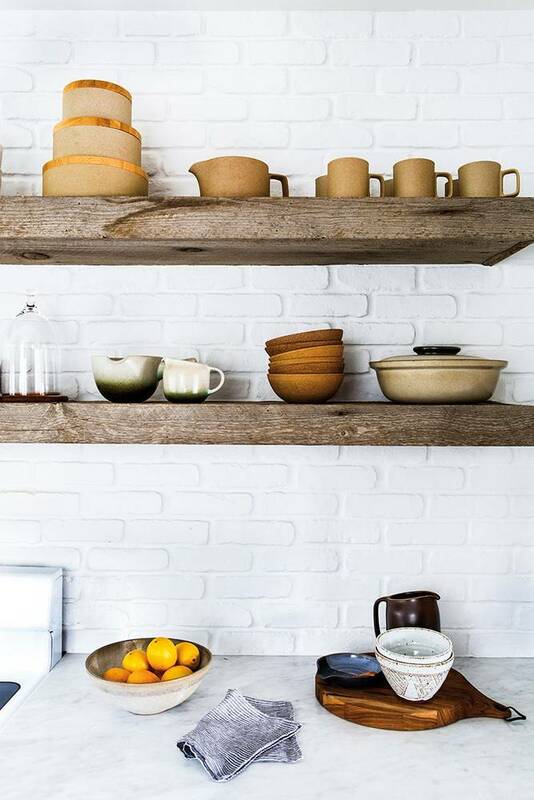 Now, I never thought I'd love an all wood kitchen but THIS kitchen seriously makes me swoon. There really is so much going on here but because it's all done neutrals it actually feels very quiet. and yes, simple. This bunk room is really one of my favorites parts of this home. I'm on the fence about doing natural wood in ours but this makes a strong case for it. I love how everything else is kept (wait for it) simple to really let the bed be the star. The other bedrooms are just as quiet and equally as beautiful. 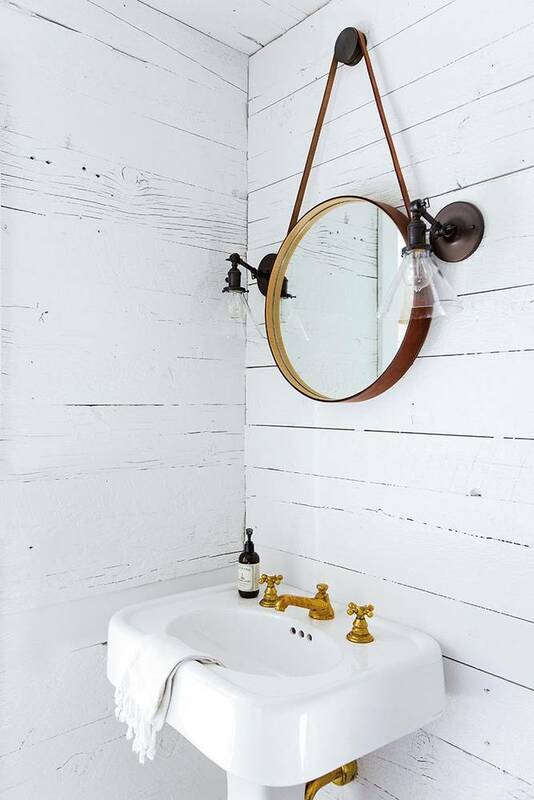 The bathrooms have a more modern twist with brass and tile, but still have the same rustic feel of the rest of the home. I can honestly say there isn't one thing I would change!